Let’s Set this all up within 30 Days (and have fun while doing it) through step-by-step guided instructions. This is a quick read with a big impact. — Louise Stuart, owner of Lake & Country Realty Ltd. and Water Tower Gallery. More resources to help your Action Tracking can be found here. 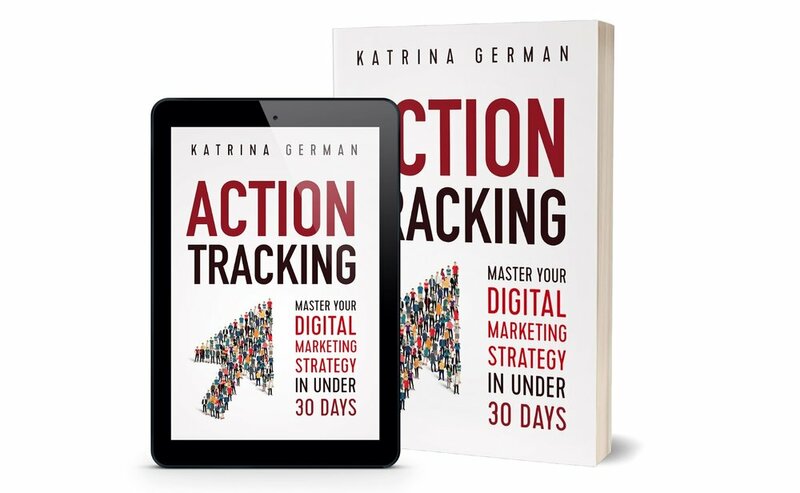 Katrina German is an award-winning entrepreneur specializing in communications, technology and digital strategy. She is a seasoned executive, leader and strategist who has reached millions of people through digital storytelling and online media. Katrina is in the CBC Future 40 Under 40, has won the YWCA Women of Distinction Award for Entrepreneurship, Startup Canada Prairie Award for Innovation, and just won the prestigious International Women in Tech award for "Women in Communications". Katrina is a strong believer in measured results, radical creativity and using technology to improve workflow. Read more about Katrina.